There was double podium delight for Harrogate Nova member Edwyn Oliver-Evans at the European Junior Mountain Bike Orienteering Championships in Portugal. 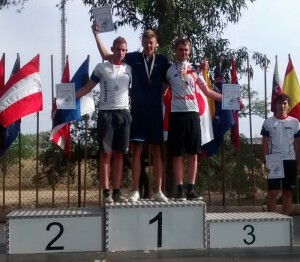 Ed bagged a silver in the sprint event in and around the hillside village of Penha Garcia near the Spanish border where navigating around small cobbled streets and negotiating a set of steps were required. 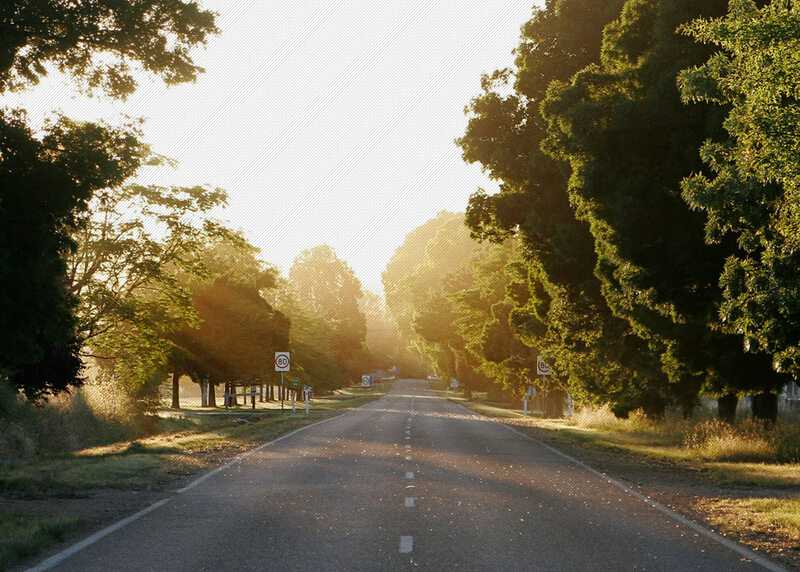 The next day he won a bronze in the middle distance race in an area of sparse forest at the end of long bumpy road where key to success was careful attention to the contours on the map. A DNF for Ed in the long distance event marred an otherwise excellent outing for Team GB. Mountain bike orienteering is an endurance sport attracting both orienteering and mountain bike enthusiasts. The most important orienteering skills needed are route choice and map memory. 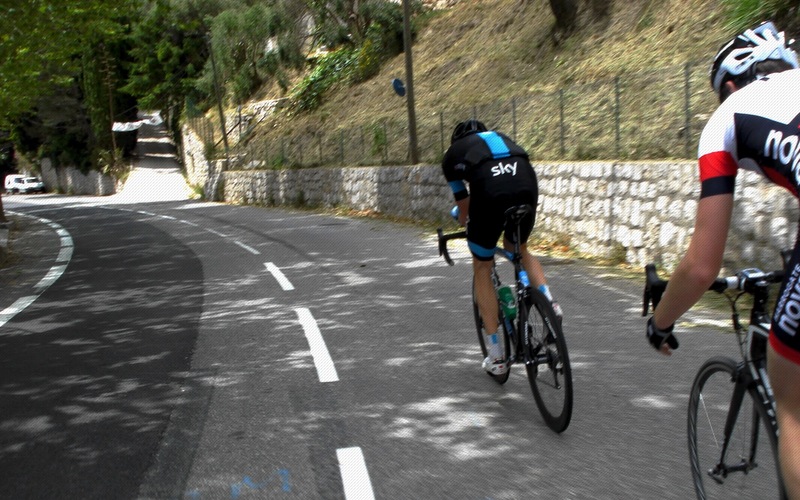 Extremely good bike handling and ability to cope with steep slopes both up and down is an absolute must for a top level athlete. Competitors must navigate, in numerical sequence, a series of control points, with the rider completing the course in the fastest time declared the winner. 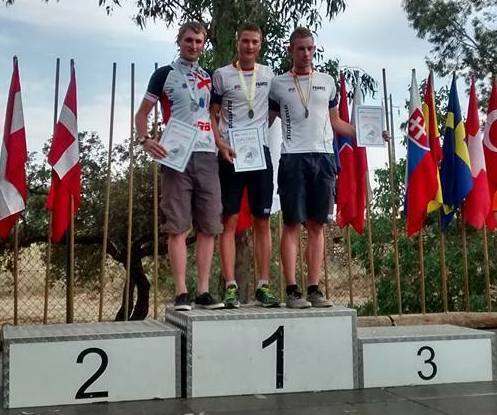 Medals were just out of reach for Nova stalwart Tim Evans, racing in the Masters 50 category at the World Mountain Bike Orienteering Championships. Racing in four events, he claimed 5th in the Sprint Event, 14th in the Middle Distance Event, 13th in the Long Distance and another 5th in the Relay Event. 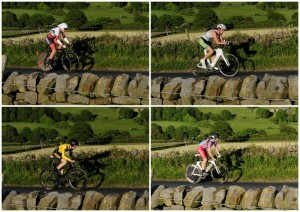 The tranquil Nidderdale countryside was the setting for event seven in the Evening TT League calendar. 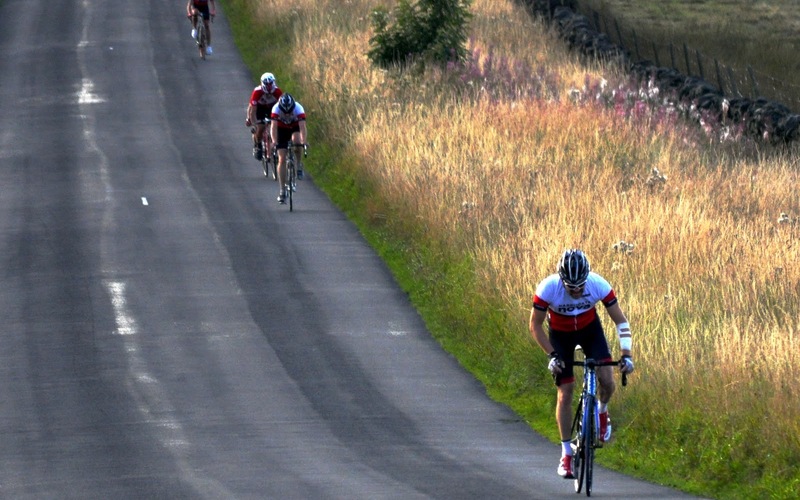 Sleepy villages, bleating sheep and the gentle chug-chug of tractors working the patchwork fields of the Dale were the soundtrack for riders along the ‘Hilly 19’ course starting in Ripley. 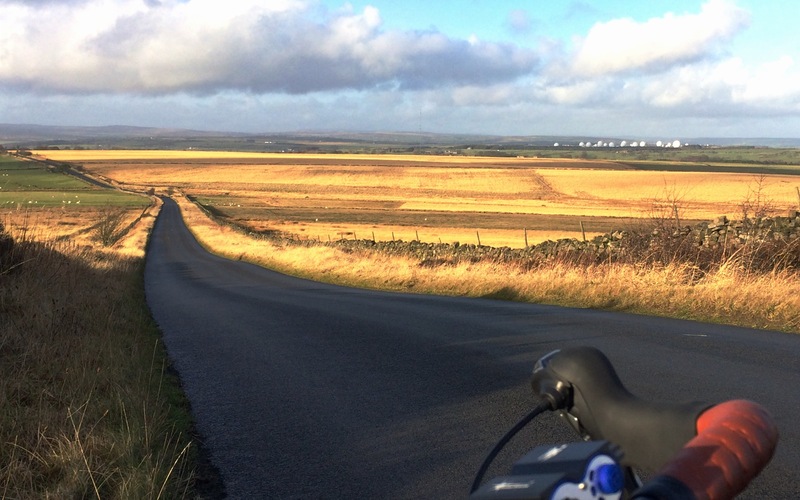 A stiff climb up Whipley Bank, through Burnt Yates, the fast left hander at the Flying Dutchman in Summerbridge then the leg-burning climb of Dacre Banks took riders to the halfway point. A short breather down to Darley Mill, then the climb up Darley Head and Hardgroves Hill to the A59 junction, where a left turn took riders on to the main road for five miles before turning off to Killinghall and the fast descent to the finish at Ripley. The lovely warm evening proved to be perfect conditions for a “smash and grab” of four course records, and personal best times throughout the field. In the men’s event, Duncan Mullier claimed the win and a new League course record with a brilliant ride of 45:25, lowering the benchmark by 46 seconds. 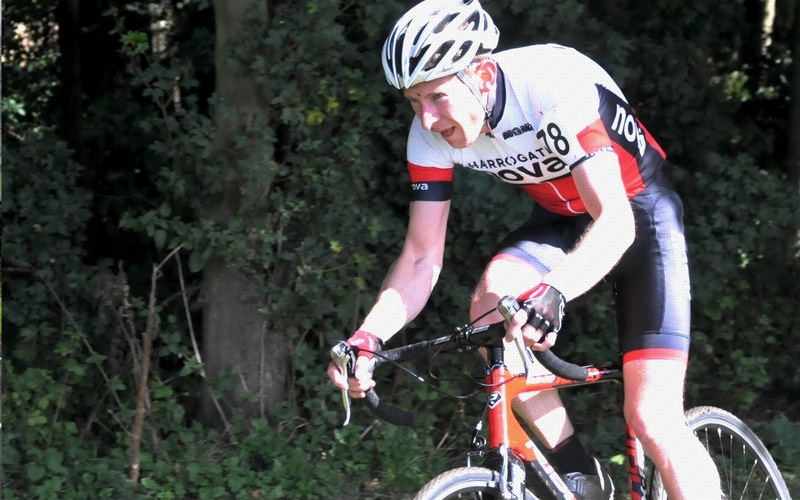 In his first attempt at the challenging course, Tom Dewood showed off his Sportive climbing ability with a fine 46:26 in second. Dylan Flesher, Prologue Race Team, took third with a stunning ride of 46:56, taking over five minutes off the previous Junior League course record. Glen Turnbull, Patron, was in fourth with 47:04 and Nova’s Simon Cave rounded out the top five with a glorious 47:22, four minutes faster than his course personal best. 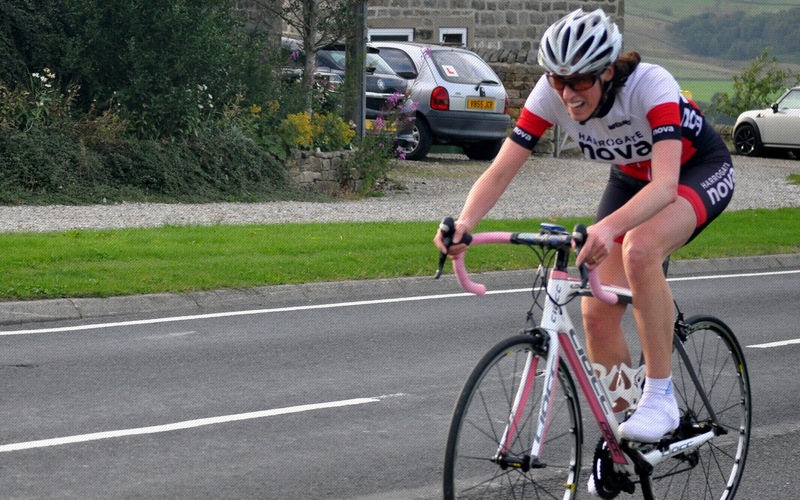 In the ladies event, it was another top spot and another League course record for Jess Bacon, York Cycleworks, taking the win with 50:35, knocking over a minute of the previous record set by Ele Haresign in 2014. Julie Patmore broke the Lady-Veteran record on her way to second place with 56:50, and Emma Robinson was third with 58:16. Huw Spacey was the quickest of the riders on a non-specialist bike recording 50:03. With Tim Jarvis unable to take to the start line because of a mechanical problem, Walter Busuttil took top honours in the Vet-50 category with a fine 50:13. The evergreen Walter Wilkinson was best placed Vet-70 with 54:48, and Mike Bowman was the fastest Vet-60 with 56:10. 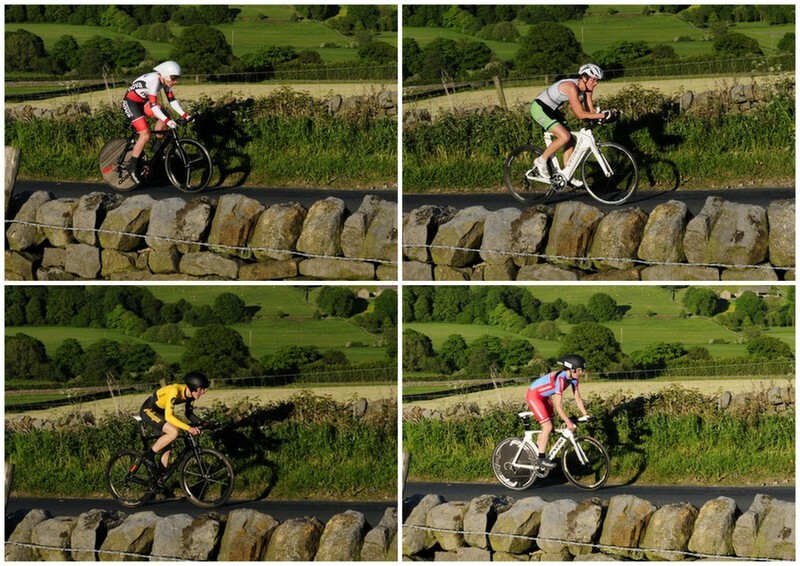 There was mixed success for Harrogate Nova riders in round four of the Yorkshire Cyclo-Cross Association Summer Cross at Wharfe Meadows, Otley on Wednesday night. In the under-16 category, Lucy Holgate’s race was over after just one lap and Louis Mason abandonded after six laps. However, there was better luck in the Vet-50 race with Lucy’s dad Andy claiming fourth place and Louis’ dad Nick a fine sixth. Richard Hamilton, having “the most fun you can on a bike”, finished 12th Vet-40. In Open Time Trials, fears of torrential rain and a last minute change of course were unfounded as the RTTC National 50-mile Championship was staged in dry conditions on Saturday morning in Cheshire. Nova’s Richard Hamilton placed 42nd overall in a time of 1:59:24. The event was won for the third year in a row by Matt Bottrill, drag2zero, in 1:41:22. There were smiles all round at the results board at the VTTA East Anglia 50-mile TT held near Cambridge on Saturday afternoon. Despite wet conditions, an absence of wind led to personal best times throughout the field. Nova’s Ian Peacock recorded a time of 1:55:28 to finish as fourth Vet-60. 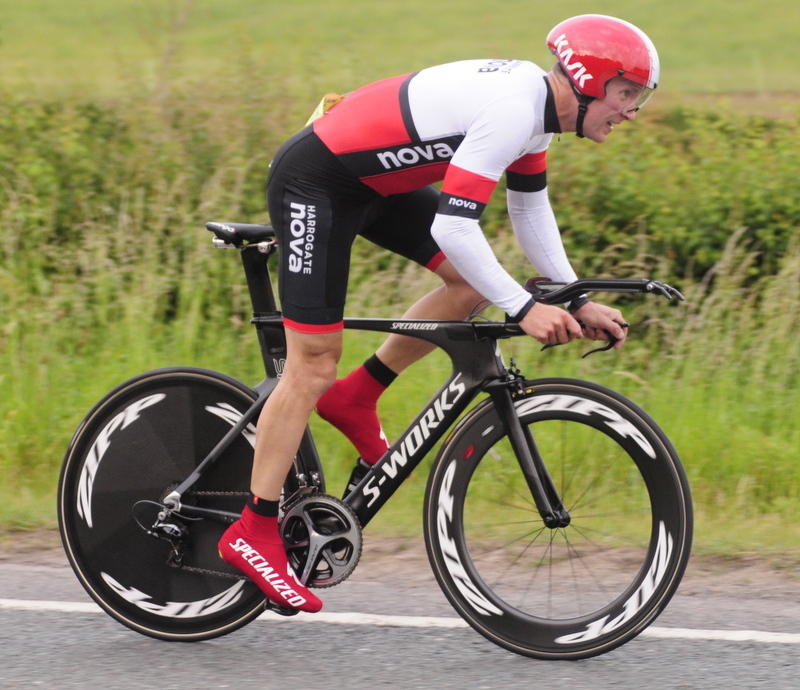 Closer to home at the Adept Precision RT 25-mile TT held on Saturday on the V236/1 course on the A19 near Knayton, North Yorkshire, Mike Hudson stopped the clock at 57:33. 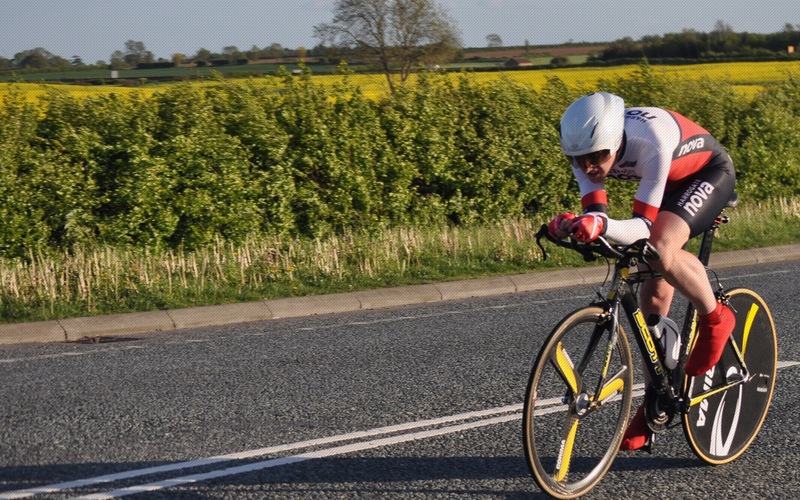 In cold and damp conditions on Sunday morning, Michael Hutchings recorded 1:10:20 at the Darlington CC 25-mile TT on the T254 course (Leeming to Baldersby). Hutchings took to the start line alongside Olympic Track Champion and World Record holder Steven Burke MBE from Team Wiggins. Racing in only his second 25-miler, the Olympian (more used to events only a tenth of the distance) was beaten into second place by five seconds by in-form Stockton Wheelers CC Paul Thirling who recorded a time of 53:45 for the win. 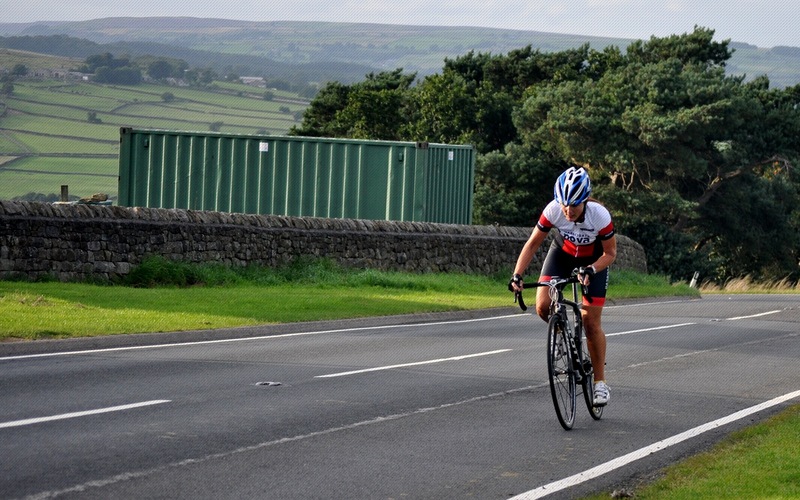 The Harrogate Nova Summer Road Race, supported by Prologue Cycling, also took place on Sunday – full results and report to follow.